Spring will be here before we know it and that means it’ll be time to finally do those remodeling projects we’ve been dreaming about. 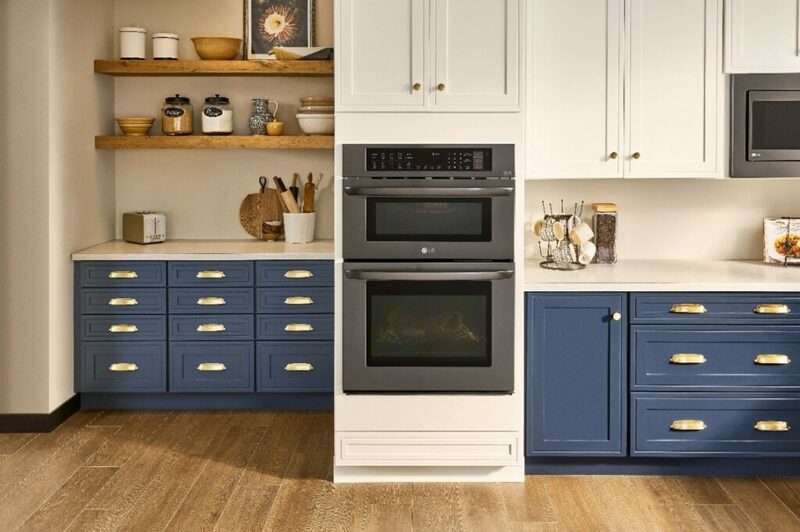 If a kitchen remodel is in your future, you should think about including the LG Combination Double Wall Oven available at Best Buy. The LG Combination Double Wall Oven can help you to cut your cooking time in half, leaving you more time for the rest of the things in your life. LG’s TurboCook™ Speed Oven has the quality of a convection oven mixed with the quickness of a microwave. Preheating is no longer required with this oven that cooks with speeds 2 to 4 times faster than traditional ovens so you can quickly cook your meals and have more time to enjoy them. Get crispy, delicious food thanks to the precise heat of the LG Combination Double Wall Oven’s True Convection. Continual, accurate heat is evenly distributed by LG’s convection technology so your food is delicious on the inside while the outside is crisp. The LG Combination Double Wall Oven’s quick & precise cooking ability isn’t the only reason you’ll want it, you’ll also love the way it looks. Any style or color of cabinetry will coordinate with the satin-smooth, warm and sophisticated finish of the LG Black Stainless Steel Series. The Black Stainless Steel adds radiance to any kitchen space while stepping it up a notch from the traditional stainless steel look. 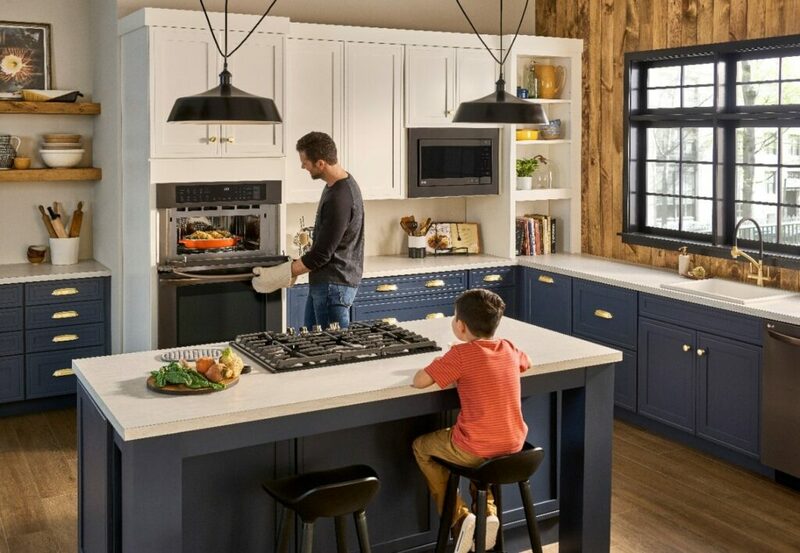 Order your LG Combination Double Wall Oven from Best Buy today and take advantage of this great deal: Now through March 6th, 2019, you can save $500 with the purchase of a 5-piece LG Kitchen Package. For more info about this deal, click here.